Girls are Flirty and Boys are Proud? Objectification, Anyone? 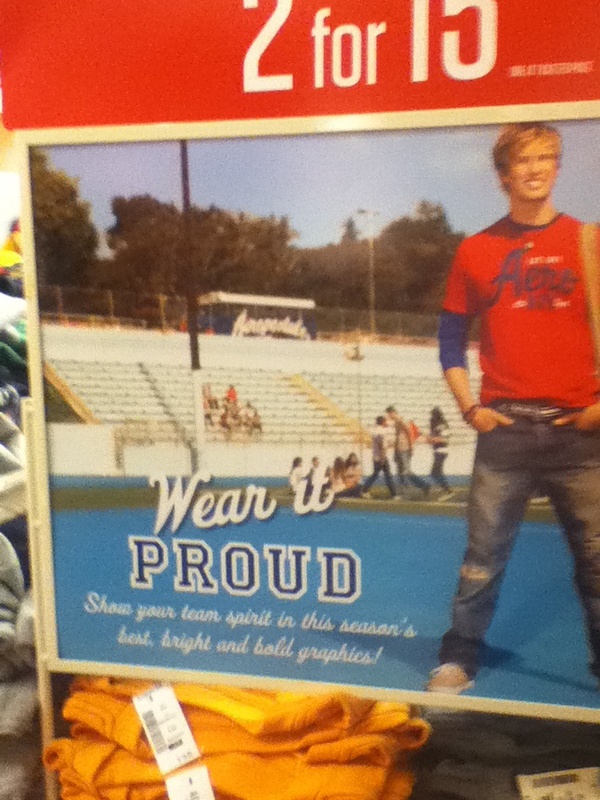 My middle school daughter was shopping today and she came home with these photos from an in-store advertising campaign. Notice the difference between the ads directed at girls versus those directed at boys. The ad for the girls’ clothes says, “Wear it Flirty” and emphasizes the importance of finding the “ultimate fall look.” The ad for the boys, on the other hand says, “Wear it Proud,” and talks about showing school spirit. I thought this was an interesting and insightful comment. At this age, she’s already noticing that marketing directed at her, as a girl, is about promoting the idea that she needs to be impressing someone else, while products marketed to boys are much more about promoting individualism. This campaign sums up the way that marketing campaigns consistently objectify females. When we think about the idea of object-vs-agent, this ad seems to clearly be marketing objectification to girls and agency to boys. Flirty is about impressing others, catching their gaze, getting their attention. Proud is about showing who you are and promoting your own ideas. given the choice, I’d rather girls identify themselves as Proud than Flirty, thank you very much. This entry was posted on August 10, 2011 by Jennifer Shewmaker in Exploring Objectification, For Teens and Tweens, Recognizing and tagged Adolescence, boys and media messages, child development, Children Youth and Family, gender focused products, gender stereotypes, Media and children, media and gender, media messages and children, Objectification, parenting, sexualization of females in the media, women and power.